. . . . . The Neoclassics division of DiMora Motorcar has sold the first two DiMora Vicci 6.2 Emperor Convertibles for $1 million each--Read about it here . . . . . . . . . . . . . . . . . . . . . . . . . . . . . . . . . . . . . . . . . . . .DiMora Vicci 6.2 Convertibles are available for order now--Check out the specs here. . . . . . . . . . . . . . . . . . . . . . . . . . . . . . . . . . . . . . . . . . . . . Coming soon, DiMora electric jet skis for pollution-free thrills where gasoline-powered watercraft are prohibited. . . . . . . . . . . . . . . . . . . . . . . . . . . . . . . . . . . . . . . . . . . .Visit the website dedicated to classic Clenet automobiles and their owners at www.ClenetClub.com . . . . . . . . . . . . . . . . . . . . . . . . . . . . . . . . . . . . . . . . . . . .
Palm Springs, California – April 9, 2010 – Alfred DiMora, the builder of the $2 million Natalia SLS 2 sport luxury sedan, has opened an online store dedicated to the motorcycle enthusiast who wants to make his or her bike a unique creation. The DiMora Store offers a growing line of distinctive parts and accessories that will bring style and improved performance to any motorcycle. 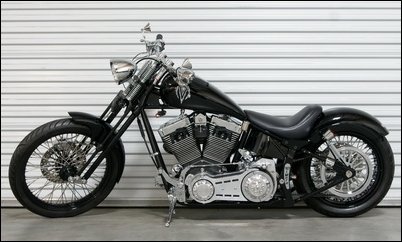 "We create some of the finest and most exotic motorcycles on Earth," noted DiMora Custom Bikes founder Alfred DiMora. "We now support bikers who love their current rides and want to customize them with the same attention to design and detail that makes our motorcycles so unique. The DiMora Store provides this opportunity." Many of the unique items already available combine functionality with elegant design. High-efficiency air cleaners can increase the effective power from an existing engine while adding to the bike's allure through their exquisite design. Even the apparel line being developed will prove that comfort and style go hand in glove. "We take customization seriously," continued DiMora. "If you cannot find the wheel you think will add that special touch to your bike, tell us what you want and we will make it. Your motorcycle should reflect your taste in design like no other bike on the planet." Based in Palm Springs, California, DiMora Custom Bikes takes the passion for technological innovation and uncompromising quality that is the hallmark of the Natalia SLS 2 and brings it to motorcycles that are available worldwide through the growing DiMora dealer network. Founder and CEO Alfred J. DiMora's biking innovations began in 1978, when he created the breakthrough unibody motorcycle design. His automotive work also began in the 1970s, when he co-founded Sceptre Motorcar and later went on to own Clenet Coachworks, where he designed and built Clenet luxury cars. When President Reagan declared 1986 the Centennial Year of the Gasoline-Powered Automobile, the Clenet was selected as the Official Centennial Car, resulting in honors for DiMora and the Clenet at the Automotive Hall of Fame in Michigan. Please visit www.dimoracustombikes.com, www.dimorastore.com, www.dimoramotorcar.com, or www.dimoraecowatercraft.com.